As more businesses in today's economy are moving towards a global reach, it is essential for finance students to understand how the fundamentals of corporate finance relate to multinational firms. 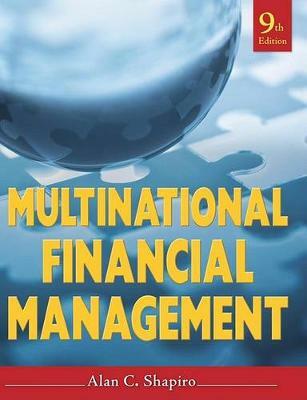 "Shapiro's Multinational Financial Management 9th Edition" provides that conceptual framework within which key financial decisions of a multinational firm can be analyzed. The author's comprehensive approach is to treat international financial management as a natural extension of the principles learned in the first course in financial management. The book builds its coverage of international finance on the framework of valuation established by domestic corporate finance. It can be used in courses in International Financial Management and International Finance at the upper-level undergraduate or MBA level.